Finding the best deals on digital SLR cameras is not really difficult, but can be quite perilous if you're a first-time buyer (more on that in a moment). Let me begin by saying this: you'll find all of the best deals online. I've spent my fair share of time comparing digital SLR camera prices from both brick and mortar and online retailers, and the online offers ALWAYS beat what's available in stores - sometimes even if the store is having a sale. But don't think about this camera purchase in terms of price alone - you'll also have to take into account the amount of time and effort you'll have to put in if your new digital SLR has a problem. One of the most significant benefits of buying your new digital SLR camera from a brick and mortar store is that you have a HUMAN contact should anything ever go wrong. And believe me, things DO go wrong. Digital SLR cameras are like miniature computers. Unlike their film predecessors that could take a licking and keep on ticking, digital SLRs are much more sensitive to abuse. Put another way: there are a lot more electronic components to a digital SLR camera than there were on film cameras, and should one of those components fail, you've got yourself a very expensive paperweight. The vast majority of digital SLR cameras work perfectly well. We're not talking about a 50% failure rate here. But even if the camera doesn't fail right out of the box, some of them can have problems after several months of use. If you've bought your camera from a brick and mortar store, you have someone who you can take the camera back to and can help you coordinate the repairs with the manufacturer. When you buy online, you'll have to deal with the manufacturer's customer service directly, and few companies seem to excel when it comes to customer service. Brick and mortar stores also work well for anyone who's into instant gratification. Once you've made up your mind about which camera to buy (using the Digital SLR Guide, of course!) then you can walk into a camera store and walk out with your new camera in hand. With an online purchase, you're going to have to wait with anticipation for a few days while your camera is shipped. I mentioned at two things at the top of this article: first, that it's pretty easy to find the best deals on digital SLR cameras, and two, that those best deals are almost always found online. Start an online search for any digital SLR camera model, and you're bound to find some advertisements that are hard to believe. If you think you've found a deal that's too good to be true, it IS. There are many unscrupulous online camera retailers out there that look like legitimate businesses. Unfortunately, they are actually fronts for bait and switch operations. Here's what happens: you go online and find a digital SLR camera offered with a lens for HALF the price that it's offered anywhere else. Thinking that you've just found the greatest digital SLR camera deal of all time, you make your purchase. In a short while, you get a phone call from the online retailer and they have a confession to make: the camera that you've bought is out of stock (even though it doesn't say that on the web site) but they're willing to offer you an "upgrade" to the next closest model - for a LOT more money of course. Other tactics include claiming that the camera comes without a battery (NEVER true) or that a kit doesn't include the lens (also NEVER true). The whole point is that the "extras" that should come as part of the standard camera package are SO overpriced, that in the end you'll wind up paying the same amount - if not more - than if you'd just gone with a legitimate digital SLR camera dealer in the first place. 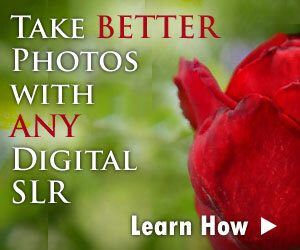 One way to get the best deals on digital SLR cameras is to purchase your camera refurbished or gray market. Many legitimate online retailers sell cameras like this, so it's not quite the scam that I've warned you about above. But there are some things you should know about these types of cameras before you shell out the money for one. Gray Market cameras are completely legal (unlike Black Market items) and are simply acquired by the retailer through non-standard distribution channels. Since the retailer acquires the camera for a substantial discount, they're able to pass the savings on to you...with a catch. This means that if you ever have a problem with a gray market camera, you're going to have to pay full price to get it repaired. So buying a gray market item represents a bit of a gamble - if you're hopeful that the camera you're buying won't have any electronic or mechanical problems for the period of time covered by the standard warranty then buy the gray market item. If you don't want to take the risk of having to spend a lot of money to fix a camera that's only a few months old, then avoid the gray market completely. 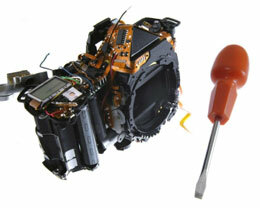 Refurbished cameras have experienced some defect in the past which caused them to fail the manufacturer's quality control check, but have been repaired to "good as new" by the manufacturer. Like gray market items, refurbished items aren't covered by the same complete warranty as a brand new item, and it's worth noting that anything refurbished has been repaired in the past. On the plus side, you can pick up a refurbished camera for a lot less than if you bought it brand new. It's another gamble, but if you're willing to take it you can save a great deal on your new digital SLR.